Introduction: The Indo-European Telegraph Company's 1869 line from London to Calcutta was 6,900 miles in length. Of the 3,725 mile circuit between Emden and Teheran the Company were required to build 2,900 miles as new, consisting of two 6mm gauge iron wires suspended from Siemens’ patent iron-capped earthenware insulators on 70,000 posts, having wood shafts in Poland and Russia and Siemens’ patent cast-iron shafts in the Caucasus and in Persia. A 100 mile submarine cable was laid in the Black Sea between Djulfa and Suchum, with a further 15 mile three-conductor cable for the Straits of Kertch. A new four-conductor cable was laid in the Straits of Kertch in 1884. Thanks to site visitor Angelika Sommer for the images of the 1869 and 1884 Kertch cables, both recovered in 1889, which came from her grandfather. The cables to be submerged in the Black Sea are by this time completed, and in a few weeks will be on their way to their submarine destination. In order to avoid the mountainous range of the Caucasus, the Indo-European Telegraph Company (the progress of whose works we lately alluded to) determined to lay a cable from the Crimea to a point on the Asiatic shores of the Black Sea, considering that the difficulties of the submarine would be far less than those of the mountainous route, the probability of interruption in the former being much less. The original cable route was not adhered to, but a shorter route finally settled upon, the length of cable being 100 miles, starting from a point near Djulfa, on the Black Sea, and landing at Suchum Kalé. The second section of cable is that for the Straits of Kertch, a three-wire cable of heavy proportions. 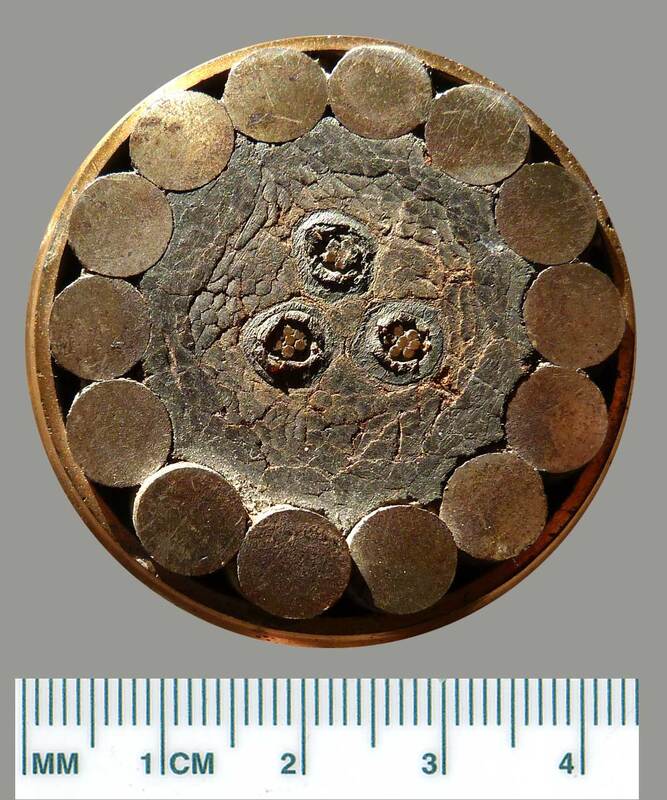 The insulated core of the Black Sea cable is similar to that of the cables that are generally known—a stranded conductor surrounded by coats of gutta-percha. The insulated conductors in this cable are three, each weighing 273lb. per nautical mile (copper, 107lb. per mile; gutta-percha, 166lb. per mile). It is in the materials specially used for strengthening and preserving the "core" that this cable so essentially differs from all others. Its construction is similar in every respect to some small cables made by Messrs. Siemens Brothers, for the French Government, some few years ago, and laid in the Mediterranean, on the place designed and specially advocated by Mr. C.W. Siemens. The present cable has been manufactured at the works at Charlton. In the ordinary system of cable making, the core is protected with a serving of hemp, and sheathed externally for extra protection, and for strength, with a helical covering of iron wires, the number and size of which depending upon the size of the core and the locality for which the cable is intended. In Siemens' cable, however, the main strength rests in a large serving of best Italian hemp, giving it the character of a rope; this serving is protected (adding, at the same time, some strength to the cable), by a sheathing, laid helically, of strips of flat copper of about ¾in. in diameter. The copper selected is of the best quality, and arrives in the shape of long broad sheets. These sheets are first passed through the shearing machine, where, by means of knives placed above and below, the entire sheet, as it passes through, is divided throughout its breadth into equal narrow strips of the breadth required for sheathing the cable. On coming away from the shearing machine the strips are wound on small bobbins. If a strip of metal or anything be attempted to be wound round a long cylinder, it will infallibly bulge up and tend towards the trumpet form, and in order to prevent such a result happening to the copper strip in the cable, it undergoes a process termed "rabitting." Each strip before going to the sheathing machine passes through this operation, which consists in slightly bending its edge and grooving its centre. The bobbins of prepared copper are then taken to the closing machine for the final process, but we must first describe the ordinary covering with hemp. The three insulated wires of the Black Sea cable are served together and wormed, the worming consisting of a number of strands of best Italian hemp. In compound cables some difficulty is experienced (unless special marking be adopted) of knowing one wire from another. In the present cable, Mr. Siemens adopts the simple but excellent plan of passing along with one of the hemp wormings a white tape, which serves as a zero line. After being twisted together and wormed, the core receives its strengthening protection by being served with two servings of best Italian hemp. Each serving consists of about twenty compound strands of hemp, served under tension, and with a very short lay. The second serving is in the reverse direction to the first. After this serving, the cable receives its external protection of copper sheathing, which consists of four strips of the prepared copper, laid helically, one strip overlapping the other for one half its breadth. In consequence of the strip being previously prepared, the cable comes out nice and smooth, and coils most readily, being exceedingly flexible and easily managed. The strips of copper are soldered into continuous lengths, care being taken that no two joints be allowed within a certain distance of each other. In the manufacture of these cables, the whole process goes on at the same time, and really in the same machine. By the application of the same power, the wires are stranded and wormed, served, and finally sheathed in one continuous machine. Usually, these operations are separate and distinct; the core is commonly stranded, wormed, and served in one machine, and afterwards finally sheathed. At Charlton, these several operations are conducted on the same machine (or, rather, combination of machines) at the same time. Where space is an object, this plan is undoubtedly advantageous; but otherwise where there is plenty of room, we cannot but think that time must be lost. Anything required to be done to any one part necessitates a stoppage of the whole. The jointing of the gutta-percha wire, the replacing a hemp bobbin, or the jointing of an external wire, each must stop the whole machine; whereas, in separate machines, only one is stopped at a time. The specific gravity of the copper sheathed cable is 1.6; its weight a little over 2 tons; and, although apparently showing but slight signs of strength, its breaking strain is considerably more than would be imagined, amounting to nearly 6 tons. The shore ends are of heavy iron wires, and of the usual construction. The Kertch cable is also an iron covered cable, but the core consists of three wires insulated with Hooper's material. The iron wires are protected externally with a serving of tarred hemp, and the whole weighs about 12 tons to the mile. The steamer "Hull" has been engaged for the work, and fitted up with the necessary watertight iron tanks, which are three in number. They are placed in the fore and main holds, the forward containing the Kertch cable; the main, the Black Sea (copper sheathed) cable. Over the fore tank, when the cable is in, will be placed a second tank to receive the shore ends of the Black Sea cable. The paying out and picking up machinery, with engines, have been constructed by Messrs. Easton and Amos, and are placed at the stem of the vessel, the paying-out machine being used, if required, for picking up. This machine is so arranged that at any moment it can be stopped and the engine attached to it, in order that the cable may be drawn in to any distance. The engine is supplied with steam either from the main boiler or the donkey. There are some special features of interest relative to the friction brake and the dynamometer, which call for attention, but we regret that want of space compels us to postpone our notice of them to a future occasion. It is expected that the vessel will leave at the end of this month or the beginning of the next. Mr. C.W. Siemens goes out with the vessel, and will superintend the operations in connection with laying the cable; and we trust that the expedition will meet with all success—completing successfully an important section in the system of the Indo-European Telegraph. It is announced that the cable of the Indo-European Telegraph Co. across the Black Sea, about 200 miles, has been successfully submerged. — Engineering, July 16, 1869. The lines from London to Norderney, which constitutes part of the system, are in working order, and from Norderney to Thorn, on the Prusso-Russian frontiers, two wires are being constructed by the Prussian government. From Thorn to Balta, via Warsaw, the section will consist of 800 miles of line, which will be laid on posts of heavy timber, principally of oak. From Balta the system will be continued via Odessa to Kertch, on through the Crimea to Ecaterneador, and thence to a point which will correspond with the northern end of the Black Sea cable. This section, which will, as far as regards the land part, be constructed of iron posts, will be about 750 miles in length, and will comprise two cables,—one 15 miles long, which will be submerged in the Straits of Kertch, and another, 4 miles long, which will cross the River Dnieper. The continuation of the system proceeds towards Tiflis and thence to Teheran, where it will join existing lines. In its course it may be added that it will comprise a 3-wire cable, of about 100 miles in length, ending at Souchum Kaleh, the conductors of which will be of stranded wire, covered with alternate layers of the mixture now known among scientific men as Chatterton's compound and gutta-percha, and will weigh a little over 270 lbs. per knot. In order that the means of communication with India may be as complete as possible, it is intended to improve the lines at present constructed from Teheran to India. These agencies of correspondence proceed from Teheran via Ispahan and Shiraz to Bushire, on the Persian Gulf, and from that point to Kurrachee. The improvements, to which reference has been made, will include the substitution of iron for wooden posts on the lines from Teheran, the submergence of a cable, about 500 miles long, from Bushire to Jask, and the completion of a land-line from Jask to Kurrachee. The result of these extensions will be, that two cables between Bushire and Jask, and a cable and a land-line from Jask to Kurrachee, will duplicate the facilities of communication through the whole of the Persian Gulf. The shore-ends of the Black Sea cable, which will probably be laid during the approaching summer, are to be sheathed with heavy galvanized iron wires protected by tarred jute. The section to which Teheran will form the eastern terminus will, it is expected, be completed by the end of next July. Meanwhile, the project for establishing complete submarine communication between this country and India is being vigorously promoted. Of the probable results of the competition of the rival systems there are but few data, at present, upon which to erect an opinion. 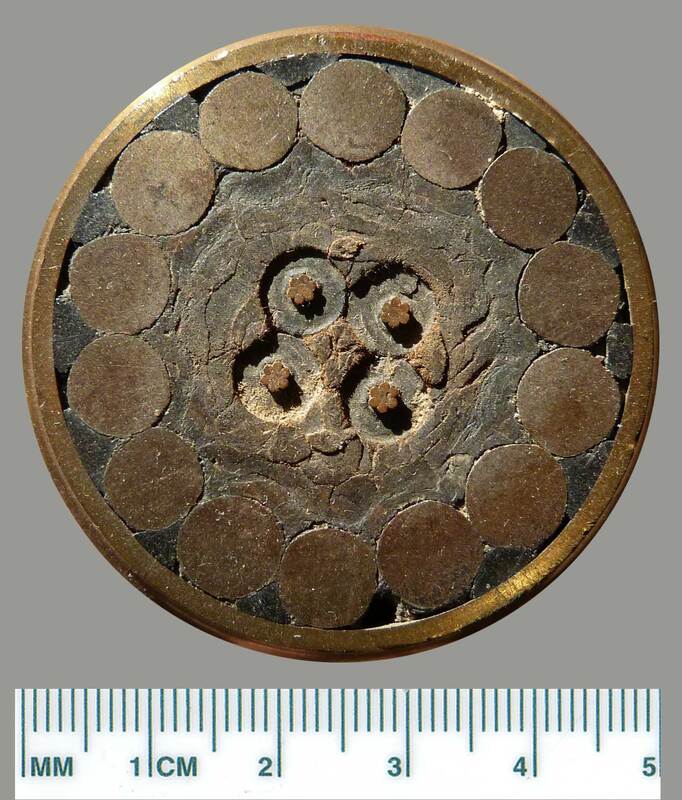 The Indo-European Telegraph Company, Limited. The directors report for 1884 states that the company's revenue from all sources for the year amounted to £98,103 l1s. 9d. The expenses were—on commercial and general account, £24,639 5s. ; on maintenance account, £28,684 14s. 6d., including £151 14s. 7d. paid to the Russian Government; total, £53,323 19s. 6d. The maintenance expenditure includes half the cost of a new cable with four conducting wires successfully laid across the Straits of Kertch and delivered up by Messrs. Siemens in perfect working order; the other moiety of the cost is borne by the Russian Government, and the future maintenance of the cable will be at the joint expense of the Government and the company, each administration having the use of two wires. The agreement between the postal department and the company for the exclusive use of one wire from London to Emden, on the German coast, came to an end on the 24th December last. A new agreement has been entered into under which the company has leased two wires from London to Emden; the one wire being in the Reuter cable, and the other in the German Union cable, so that by these means a duplicate route is secured. Owing to re-arrangements made under the same agreement in respect of Russian and Turkish traffic it is anticipated that the nett cost to the company will undergo no material alteration. The German Government has placed at the disposal of the company a second wire between Emden and Berlin, and by means of the duplication of the Kertch cable and certain alterations made, and still being made, on the company's system, a through route of two effective wires has been in operation since the beginning of March. The result upon the working of the company's line between London and Teheran has been eminently satisfactory. The eighteenth ordinary general meeting of this company was held at Cannon Street Hotel, on Thursday, Colonel James Holland presiding. The Chairman said: When we last had the honour of meeting you it was my agreeable duty to mention that the past year had been an uneventful one—a kind of year that is always satisfactory to shareholders. I am glad to be able to report that the year just past, 1884, has also been an uneventful one. There is one circumstance attending it that is to be regretted, namely, that commercial affairs have been very stagnant all over the world, and as the result of that there has been a reduction in the amount of net earnings to the amount of about £1,000. It would have been greater, but we have managed to make up the revenue from other sources. There is also another reduction to report, but one which will not very greatly grieve you, namely, a reduction in the expenditure. That is to say, it is about £1,500 less than the expenditure of the preceding year; and when we consider that not only have the wires been kept in far better order than they ever were, no expense having been spared in keeping everything in perfect order, and that we have also laid out £2,000, our share of laying a new cable across the Straits of Kertch, I think you will admit that as regards the special management of our friend, Mr. Andrews, nothing could be more satisfactory, for it is to his untiring zeal and intelligence that we owe this considerable reduction instead of what might have been expected—an addition. I can assure you that not a week passes but his mind turns to the improvement of our means of communication, and to show the extent that they have been improved I may mention that the average time from London to Teheran is now 15 minutes, and to Constantinople not more than half-an-hour—but over the latter line we only go as far as Odessa. It is impossible almost that any system of telegraphic communication could be more perfect than ours. Included in the items of importance, we have also leased a second wire from the India Office. The German Government, on our communicating that fact to them, with the greatest promptitude placed a second wire on their system also at our disposal, from Emden, the nearest point on the coast, to Berlin, so that we have a two-wire communication the whole way to Teheran. There is also, when it is in perfect working order, two-wire communication from Teheran to India; that portion of the line is under the management of the Indian Government, and I wish I could say it is as perfect as our own, but it fails occasionally, and does not keep up the same degree of excellence that we have managed.